Unilever is adding butter to one of its margarines. WTF?! Margarine has traditionally been touted as a healthy alternative to butter. After all, we’ve been told that butter is rich in saturated fat which raises cholesterol levels and, along with that the risk of cardiovascular issues such as heart disease and stroke. Spreads lower in saturated fat and rich in ‘heart-healthy’ vegetables oils, we are assured, are the way to go for those seeking to ‘look after their hearts’. These messages have been propagated by various factions, perhaps none more so than margarine manufacturers. And a major force here has been the conglomerate Unilever. Imagine my surprise, then, when I learned this week that Unilever has started enriching one of it’s spreads with, err, butter. 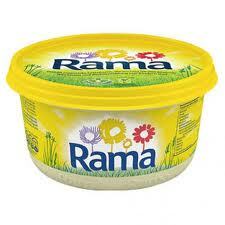 In September, Unilever started adding butter to it’s Rama spread in Germany. You can read about this story here. You may wonder what has caused this about-turn on Unilever’s part. How does a company that has led the vilification of butter come to then add it to one of its products? Well, as is often the way, it appears to come down to pure economics. The fact of the matter is that sales in Unilever’s division that includes spreads have been on the slide. The article I link to states that margarine consumption per person in the US is actually at a 70-year low, while butter consumption is at a 44-year high. The trend is clear: people are turning away from margarine and towards butter. What could be driving this? It’s hard to say for sure, but I reckon it has something to do with the fact that more and more evidence has amassed over the years that vindicates saturated fat. But also we’ve seen increasing evidence that margarine is a food product to perhaps be wary of. The genie is out of the bottle and however much Unilever may try, there’s no putting it back in. In the article I link to, we are told that Unilever’s Foods President Antoine de Saint-Affrique told an investor conference in December that the ‘battle is over’. If, Mr Affrique is referring here to Unilever’s attempt to position margarine as a healthy alternative to butter, then I think he’s right: Unilever fought this battle long and hard, but in the end they lost. No longer are Unilever able to (unwittingly, perhaps) pull the wool over people’s eye with rhetoric that is not supported by appropriate research. The battle is won, and it’s science wot won the day. In recent times, butter has enjoyed something of a rehabilitation in the public’s eyes. It seems that increasing numbers of people are choosing butter, and seeing margarine for the highly-processed, chemicalised gunk (I believe) it is. To my mind, Unilever’s embracing of butter represents a desperate attempt to put their products in a better light and boost sales. Will it work? I very much doubt it. Putting a smattering of a decent ingredient into a fundamentally crappy food does not stop it being a crappy food all of a sudden. My suspicion is that people know this, and will see Unilever’s move for what I think it is: an embarrassing about-turn and cynical ploy. Unilever’s RAMA spread – now with added butter! How do researchers end up recommending a drug they concede has no benefit? 17 Responses to Unilever is adding butter to one of its margarines. WTF?! I can’t remember who said it, but I remember someone saying margarine with sterols is about as intelligent as sticking a vitamin pill in a doughnut and calling it healthy. I guess this might also fit that description. People are still afraid of fat calories. I recently saw a Kerrygolg butter on a store shelf with lowered fat content. Too bad they can’t be held responsible for ‘willful spoiling of butter’. Several hundred years ago in some kingdom that might have happened, but sadly not in our days. It’s a lame attempt of whitewashing their low-quality machine grease. Yeah, the lowered fat Kerrygold is about on a par with fat-free ice cream. Sorry, but if it’s fat-free it can’t be ice cream. Or the fat-free half and half. I always want to know half what and half what? Half oxy and half moron, maybe. Hey, that’s what food companies do: “ Putting a smattering of a decent ingredient into a fundamentally crappy food”. They’ve been doing this for years. If you read the ingredients of any processed food you will likely find a few decent ingredients scattered among the crap. As a simple rule of thumb, if a food even has a label on it you probably shouldn’t be eating eat. The idea the we could deconstruct food and put it back together along with a bunch of unpronounceable chemicals without suffering adverse consequences is the modus operandi of the Food Industrial Complex. 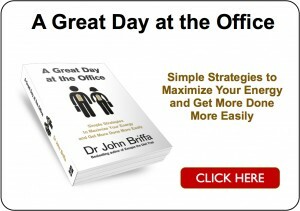 It’s time to move away from processed food and get back to eating the real deal, fat and all. McDonald’s selling salads – Unilever adding butter, where will it end – next we’ll have a Government telling its population the truth!?! Someone should tell the low-fat, ‘skimmed-milk’ devotees, that all they need do is buy a pint carton of whole milk, give it a good shake, pour it in a quart jug, and then mix it with a pint of water. You can still freeze one carton, and get twice as much for your money. It won’t be skimmed, but you will be halving the fat content, for every cup of tea or coffee that you add it to. That is if you are daft enough to believe that fat is the problem, rather than the lactose in the milk! At last the sugar alert is getting through, and we are beginning to see programmes on the TV, about the dangers of the evil crystals. Hopefully the cholesterol myth will be the next thing to be challenged. Interesting numbers linked to the Bloomberg story. Total margarine supply in the US is less than that of 1952, despite the fact that the population has doubled in that period. Total butter supply has increased since 1998. But it is still at the level of 1922. I saw an ad on UK TV last night for Lurpak lightest Spreadable made with real butter. I can find no information anywhere on the percentage so you can bet there’s a lot more ‘Spreadable’ (ghastly name for a ghastly product) than butter. People don’t buy butter because they dislike the bad things in margarine, they buy it because it tastes better. It’s nothing deeper than that. I fear it will take more than just slipping a modicum of butter into an otherwise unhealthy product to change the mindset of the majority. The vast majority seem unswayed by hard facts and evidence, preferring to cling on to the nonsense they have been fed for years by a combination of health professionals and food companies despite having the evidence put before them. I told someone only the other day that they really shouldn’t drink skimmed milk. “Oh I know” she said “but I don’t like the taste of full cream”. I didn’t believe her for a moment, she’s a very large lady who also told me she eats healthily and doesn’t eat any of the array of baked cakes etc. that she is forever showing on Facebook. I actually can see this move by Unilever having a positive impact on sales among those who want to believe butter is good for you but are far too programmed to avoid such things. They will seize the opportunity to buy the product and allowing themselves a bit of a “treat” whilst still believing that margarine is what they should be eating. It’s going to take a long time to reprogramme the section of the population who have been so convincingly hoodwinked and all the slimming clubs and organisations who continue to promote low fat foods and artificial sweeteners. I think the daftest thing I ever saw on a supermarket shelf was “Fat-free cream Cheese”. Somehow I was not tempted. I long ago realised that manufacturers basically substituted sugar for fat in order to produce an equivalent texture. My husband is diabetic and we have been amazed at the products containing sugar, fish pie, sausages, processed cheese, etc., etc. Maybe the target market is those who are convinced butter is unhealthy but who love the taste of it? So they’ll buy something with a small amount of butter in it. This growing liking for natural fatty foods has its downside. At work we get 12 pints of semi skimmed and 1 of full fat. Up to now we haven’t been running out of full fat. Only me and a couple of reckless unsophisticated foreigners drink it. Dr B, a bit off topic, but just wondered what your thoughts were on this article that appeared yesterday?? There’s a BBC 2 Horizon episode about it tonight but I haven’t watched it yet – it’s recorded on the SkyBox tho!! Reading about what the twin (a GP I believe) that gave up carbs said, he went Zero carb, and probably didn’t add enough fat to his diet. So it seems to me like this was a missed opportunity to show how beneficial this way of eating can be to a lot of people ( I note, not everyone – and not everyone needs to). He felt awful and although he quotes the science about insulin etc he has dissed it. 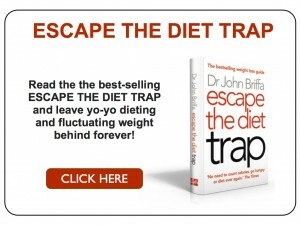 He also says ” take away carbohydrates and the joy goes out of meals”. Ha, I love my food, it is rich and varied and delicious. He clearly wasn’t using butter LOL. Actually, I buy butter because there’s only 2 ingredients (I buy it salted), because it’s a natural product, and because it’s NOT margerine. I DO buy butter because I hate the bad things in margerine (AKA spreadable plastic). Tasting “better” depends on the brand!